Over the past few years, artificial intelligence (AI) has made some significant progress. Even now, online businesses are pondering how to make the best use of AI’s machine learning and deep learning capabilities to improve their business operations. As a matter of fact, many companies have already begun to experiment with AI, in order to gain a competitive advantage and create a seamless experience for their customers. Even though AI tech is still in development, it’s use however is becoming wide-spread at an increasingly fast rate. Take Google for example; they launched their RankBrain machine learning system back in 2015, which helps provide relevant results for search queries. 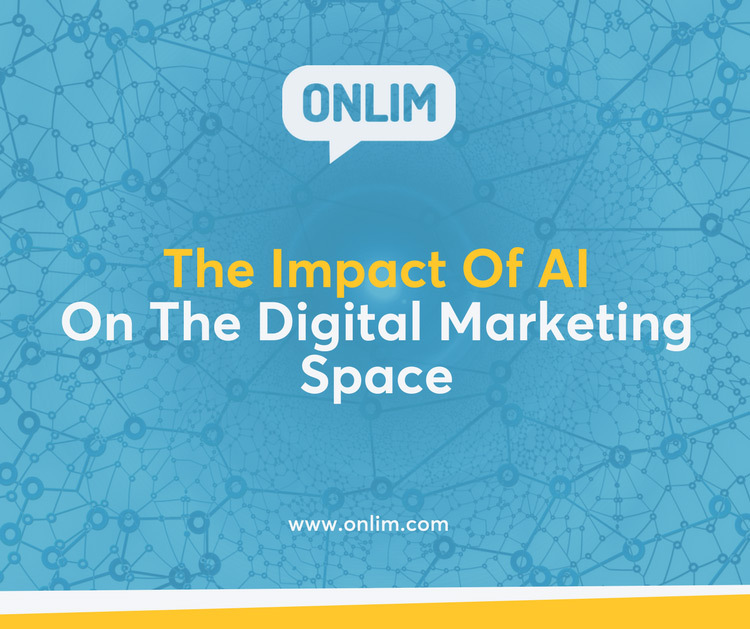 Now, digital marketers are realizing the potential impact AI can have on the digital marketing industry. Especially in sorting through tons of big data gathered from internet use. That being said, AI has the potential to revolutionize digital marketing and help marketers design better customer experience, as well as improve overall business efforts. Here are a few ways AI is having an impact on digital marketing. AI’s most notable feature is its machine learning ability. Basically, it allows a machine or piece of software to learn and improve based on its past experiences, while gradually progressing over time. For a digital marketer, that means that a lot of processes can be improved by implementing AI software to reduce human errors. For instance, analyzing big data and tracking important metrics is essential for digital marketers. That information allows them to predict future trends, as well as have better understanding of customer behavior. However, AI can analyze data much more effectively and provide accurate predictions that are important for digital marketers. That way, marketers can design their offers and promotions much more efficiently. Especially since they have exact information about their customers’ preferences and expectations, as well as precise knowledge of market trends. Customer experience is the field where AI can have the most impact. However, with the market being so overcrowded and competitive, it’s often difficult to provide the right experience for your customers. Nevertheless, with the help of AI, the entire process can be significantly improved. Not only can AI provide accurate information about customers’ purchasing decisions, future actions, likings, demands and needs, but it can also help you customize and personalize your marketing activities to yield better results. Furthermore, tools such as a digital marketing dashboard can help you track data about customers from the AI and design personal and targeted offers, which will undoubtedly lead to sales. Chatbots are increasingly popular in the digital marketing world. The main reason is that they can use AI to mimic human behavior and effectively communicate with online consumers. Through deep learning, chatbots can effectively simulate human intelligence and adapt to customers’ behavior. Many online businesses are starting to implement chatbots to provide better customer support and service by automating the process entirely. The main benefit of chatbots is that they are built on messaging apps and can communicate with a large number of people simultaneously. That means they can provide support 24/7, as well as offer services and answer any questions your customers may have. 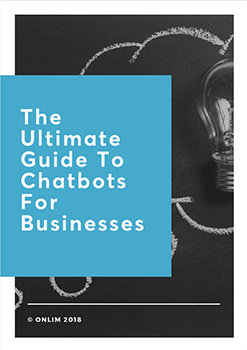 Furthermore, chatbots boost engagement, especially since customers can interact with them on messaging apps at any time. That way, consumers can find out everything they need about your brand, without having to download your app. What’s more, chatbots can provide you with detailed information about anyone who has interacted with them. Every marketer’s goal is to convert leads into customers by helping them make a purchasing decision at every step of the buyer’s journey. This entire process demands careful planning and testing, in order to identify the best way to convince a lead to make a decision. However, AI can help marketers make the right calls and shorten the buyer’s journey altogether. For example, AI can identify prospects that are most likely to convert and provide information about those prospects to digital marketers. Moreover, marketers can then design the most impactful offer that will convince a prospect to make a purchase. In addition, AI can effectively test different promotions and campaigns in order to determine what works and what doesn’t. That way, marketers can make the customer’s decisions much simpler and shorten the process of converting prospects to sales. AI is revolutionizing every industry, including digital marketing. Although still in development, AI has already shown ways it can significantly benefit various businesses.